NovaDine, an online ordering software solution for the restaurant industry, has been selected as the digital ordering partner/system for Braum’s Ice Cream & Dairy Stores. 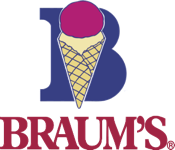 Oklahoma City-based Braum’s plans to pilot the new service this summer. The service will then be rolled out to the 280 locations that offer three stores in one – a grill, an old-fashioned soda fountain and a fresh market grocery. A recent report by "The Digitally Engaged Food Shopper” noted that around a quarter of American households currently buy groceries digitally, up from 19 percent in 2014. Trends indicate that online grocery shopping could grow five-fold over the next decade, with American consumers spending upwards of $100 billion on food-at-home items by 2025, per the report. NovaDine provides enterprise-class POS integrated digital ordering solutions to multi-unit restaurant chains. NovaDine is an innovator in the market place with unique features like its full menu/order/POS integration with Grubhub, Grubhub at Work, DoorDash and UberEats; patented Group Ordering; proximity triggered customer check-in, order throttling, and the recently introduced KIOSK ordering. Built-in delivery support is included, as well as Delivery As A Service integration with Grubhub, UberRush, Postmates and DoorDash. Multiple prominent restaurant chains like Panda Express, Pollo Tropical and Taco Bueno have deployed the feature-rich solution to power their online/mobile ordering, catering, and apps.